You'll feel a world away from everything when you escape to the highlands of central Mexico for innovative restaurants, centuries-old history, and stunning architecture. Even neighborhood dogs know they're safe crossing the street in San Miguel de Allende, Mexico. The city doesn't need stop signs or traffic lights to control the flow―just speed bumps and courtesy. That polite and welcoming attitude is one of many reasons why San Miguel has become a favored travel destination. "San Miguel is like a Mexican Mayberrya cosmopolitan Mayberry," says one local gallery manager. That's why many Southerners and other norteamericanos have chosen to skip Mexico's lively beach scene and dive into the cultural and artistic life of this jewel about 170 miles north of Mexico City. photo: The Parroquia de San Miguel dates back to 1683 and anchors the town's plaza. The Mexican government made San Miguel a national monument in 1926 to preserve its Colonial architecture and cobblestoned streets. You'll reap the benefits of that gift as you stroll the city's 2- to 3-foot-wide stone-paved sidewalks (watch your step) and gaze up at richly colored stucco-and-stone buildings, their carved doors preserved in the dry air, some dating back to the 1700s. Those doors open to courtyards lined with orange and lime trees, bougainvillea, palms, and other tropical plants and flowers, all centered around splashing fountains. Everywhere in the city, you'll hear church bells, particularly on Sundays. You may also hear the whoosh, pop, and ka-boom of the fireworks that often signal the beginning of a festival. photo: The 18th-century Santuario de Atotonilco is a holy site for Mexicans. On a long weekend―four days will do nicely―you can enjoy most of San Miguel's best offerings. To orient yourself, join one of the English-language walking tours that begin at the Jardín, the main plaza and the hub of the city. Plan your time with the weekly English-language tabloid newspaper, Atención, which offers information on concerts, tours, and other special events. You can easily spend a couple of days touring art galleries or browsing for antiques. San Miguel has everything from silver jewelry, hand-painted kitchenware, and other local crafts and folk arts to collector-quality paintings and photography. Don't miss the abandoned cotton mill, Fábrica La Aurora, about a mile north of downtown, which now houses galleries, shops, a wine and tapas bar, and a restaurant. photo: Get the lay of the land on a tour with Ricardo Gonzalez; it may be the best money you'll spend. Find him at the Tourism Office adjacent to the plaza. Looking for music? It?s everywhere. Hear a string quartet or groove to jazz in a small cafe. 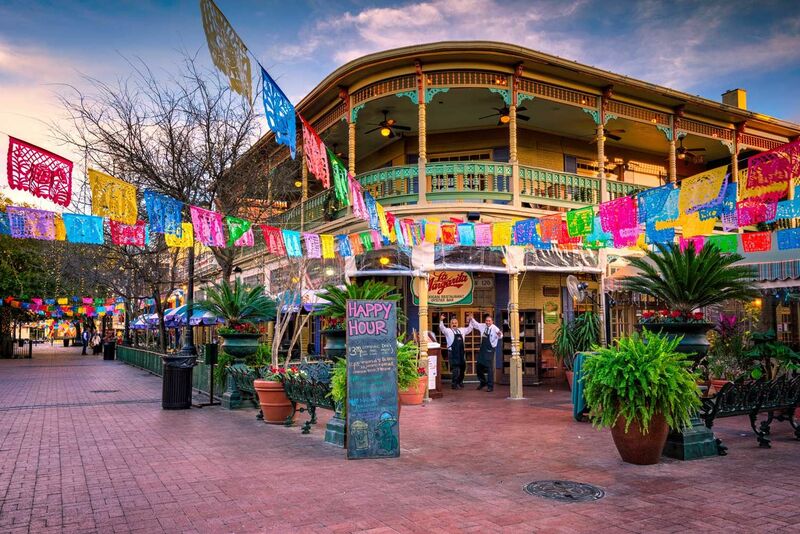 Sway to mariachi music in the Jardín, dance an Irish jig in a local pub, or have a couple of margaritas and join in on some salsa dancing. San Miguel has great rooftop bars―perfect for winding down before dinner. And the city's restaurants serve an incredible variety of cuisines, including Italian, Arabic, organic-vegetarian, Chinese, and German. You can also sample an array of local dishes, from fancy corn fungus crêpes served in a rooftop restaurant to gorditas made to order at a wildly popular stand across the street from the public library. photo: Local color abounds in San Miguel, from mariachis to street vendors. Given San Miguel's beauty, charm, and authenticity, it's no surprise that thousands of Americans, Canadians, and Europeans call it home. Many of them made snap decisions to buy homes during their very first visit, so don't be surprised if you find yourself reading real estate signs. This amazing city has everything you could want in a getaway, except perhaps one of those beachside infinity pools where you can swim to a bar and order a margarita. Trust us. You won't miss it. photo: Feel the hospitality at Casa Quetzal, a great midrange hotel. Café de la Parroquia: Excellent breakfast in a tucked-away courtyard. Try the chilaquiles al horno-handmade tortilla chips with green salsa, cheese, and fresh cream. El Correo: This spot has been a breakfast icon for more than two decades and with good reason. The migas-eggs with tortilla strips, spices, and sausage-make a hearty start to your day. Harry's New Orleans Café & Oyster Bar: Owner Bob Thieman brings NOLA to San Miguel with this surprisingly authentic Cajun and Creole restaurant/bar. Harry's sends its own trucks to the coast for fresh seafood. Hecho en Mexico: An international menu, plus a Southern connection: The owner is from Alabama. photo: Hibiscus quesadillas plus contemporary art at Nirvana create a dining experience unmatched in San Miguel. La Fragua: Right across from the Parroquia, this spot serves excellent shrimp tacos and guacamole. Nirvana: Our favorite restaurant in town, Nirvana exudes urban sophistication-elegant lighting, oversize candles, modern art. Try the hibiscus quesadillas and skewered shrimp, served atop a flaming wedge of pineapple. San Agustin: Like a Mexican version of Café Du Monde, this is the place for churros y chocolate: strips of fried dough served with powdered sugar. Order hot chocolate, and watch the bustling scene. Tio Lucas: Steaks and more for dinner in a courtyard where a jazz band entertains most nights. Order a Caesar salad, prepared tableside. Casa Quetzal: A great option for a variety of budgets, this small property offers well-decorated rooms ranging from $125 per night to $325. The rambling structure features lots of terraces and patios adorned with ficus trees, cacti, and other greenery that creates a sense of serene privacy. Dos Casas: Indulge in the master suite here for the best rooftop view in town―all from the comfort of your own outdoor hot tub. The Oasis: Our favorite stay in San Miguel features only four suites in an 18th-century building. Each suite offers the kind of luxury you'd expect at a high-end boutique hotel in the U.S.―lush bedding, concierge service, and polished-tile floors in the huge bath. Rates, from $285, include a delicious homemade breakfast. photo: At The Oasis, arched doorways, Turkish rugs, and tile floors create a serenity befitting the hotel's name. Fábrica La Aurora: Take a cab to this former textile mill on the outskirts of town, and you'll discover one of the best gallery-hopping spots anywhere. Galleries offer everything from work by Mexican photographers and American painters to Guatemalan fabrics and handmade furniture. La Casa del Vidrio: This shop isn't fancy, but it offers some incredible deals on Mexican glass. Be sure to check out the upstairs; we discovered cool martini glasses for less than $3 each. Z?calo: One of the best shops in town for folk art, Zócalo brings handmade work by individual artists from throughout Mexico to San Miguel.